Learn why the Death Education movement is vitally important right now for our society and get inspired to teach your own class about death and dying! This week I’m continuing my focus on death education by discussing some important reasons why right now we desperately need more death-ed in every aspect of our society. Learn how you might become a death educator in your own community and start to share your knowledge to help others become aware of death. Click here to get your free Teaching Guidelines for a Death & Dying Class to help you create your own class! You can still join A Year of Reading Dangerously and start reading books about death and dying with 700 other people around the globe! You’ll get to take part in live Q&A discussions with the authors of many of the books we are reading. For February we are reading Smoke Gets in Your Eyes by Caitlin Doughty–and she’ll be joining our discussion at the end of the month! Sign up now by clicking here! Thanks again to all of my supporters at Patreon.com/eolu! Your generosity and encouragement mean everything to me! Become a patron for as little as $1 per month–where else can you do so much good with just $1? Go to Patreon.com/eolu to learn more. Schools – high school and college classes are a perfect place to introduce death and dying to young, curious students who can only benefit from learning more about death. (Next week I’ll share an interview on this podcast with Stacy Smith who teaches The Psychology of Death & Dying to college students, and on EOLU at the end of February I’ll present an interview about a high school elective on Death and the Meaning of Life with the teacher and 3 of his students. We are living longer and the incidence of complex diseases like Alzheimer’s is increasing which creates a need for better advance planning. Patients and families need to prepare for the type of medical care and caregiving that may become necessary and understand how they can provide for those possibilities in the future. Medical technology continues to advance at a rapid rate. Our ability to forestall death and keep a body alive has far outstripped our willingness to grapple with difficult end-of-life decisions. We need education to help people plan and prepare for the future and be pro-active about the care they receive. Studies show that those who think and talk about death are more likely to put their wishes in writing, to talk with others about their wishes, and to stop medical treatment when it is no longer helping. Ethical and moral dilemmas about end-of-life issues are splitting our society and families. Debates over physician-assisted dying and discontinuing medical care when it is not helping are going to increase with the aging of the Baby Boom generation. According to Pew Research Center surveys: 47% of Americans favor assisted-dying laws and 49% are opposed; 66% believe that there are times when doctors should stop treatment and allow patients to die a natural death, but 31% believe that doctors should always do everything possible to prolong life. These opposing perspectives are likely to be present in families too, especially if no advance planning has been done. The high cost of being unprepared for death. Lack of advance care planning can lead to higher medical expenses, especially if the patient receive extreme care that was not actually warranted or wanted. Families unprepared for funeral planning are more likely to choose higher cost options and be vulnerable to unscrupulous marketing practices when they are grieving. Failure to plan ahead and put wishes in writing can cause increased stress and guilt for family members who must make decisions without any guidance. The emotional and spiritual cost of ignoring death. As described in episode 127, death is our greatest teacher about life. Those who fail to recognize the inevitability of death are less likely to live to the fullest and appreciate the moment because they think they have plenty of time. If you care about any of these issues and have been learning about death and dying by listening to this podcast and the End-of-Life University Interview Series, you are the perfect person to become a “death educator.” Start by sharing what you’ve learned with family and friends and consider putting together your own class in your community to help educate others. You can download my free pdf: Teaching Guidelines for a Death & Dying Class and get some tips and tactics for starting your own community death-ed class! When you download the handout you’ll receive an invitation to a special work group I’m putting together in March on brainstorming your class. Click here to get the guidelines! 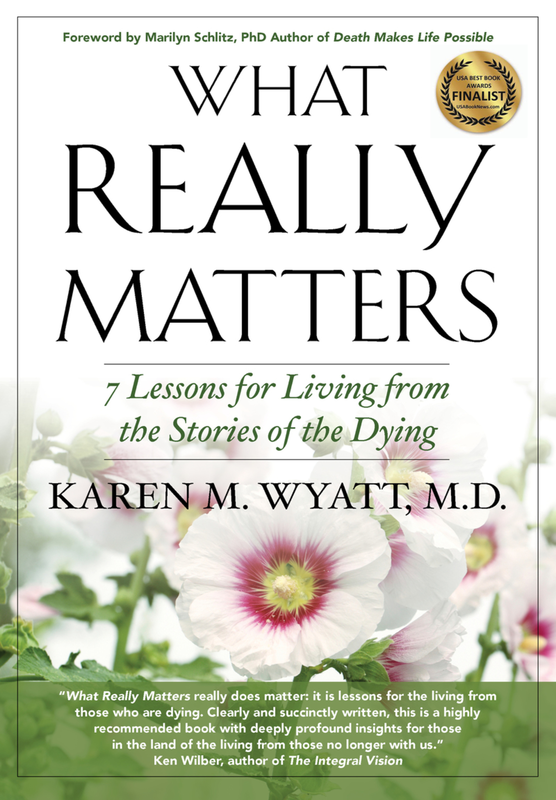 Stay tuned to future episodes of this podcast to get more information about death education: next week I’ll share an interview with Stacy Smith about teaching college students about death and dying. On February 22nd I’ll present an interview on End-of-Life University with the teacher and students from a high school death-ed elective. I hope you feel inspired to become a “death educator” in whatever capacity suits you, whether you simply share your knowledge with family and friends or start a class in your community! If you enjoy this podcast please consider leaving a review on iTunes – it will be greatly appreciated! What does it take to be ready and at peace when you reach the end of life? Here are some thoughts on how to prepare. In this episode we’ll take a look at what you need to do to prepare for the future, particularly the end of life. You’ll find out how to BE Ready for whatever life brings your way! The Roadmap for End-of-Life Planning Course is finally available! Click here to learn more. This 4-module course is like having your own personal consultation with an end-of-life physician (me!) who guides you through completing your paperwork one step at a time! This podcast is sponsored through the EOLU donation page at Patreon.com/eolu. By contributing just $1 or $2 per month you can help support the podcast and the End-of-Life University Interview Series. If you become a supporter I will happily promote your book, website, cause or organization on a future episode of the podcast! THANK YOU to my latest patron Sylvie and to all current patrons!! Facebook announces it will offer employees up to 20 days of paid bereavement leave and 6 weeks of paid leave to care for an ill loved one. A study done by U of Colorado Anschutz showed that oncologists are reluctant to have conversations with patients about their prognosis and patients seem equally unwilling to discuss the difficult facts about their diagnosis. This demonstrates the need for better preparation for the end of life BEFORE the onset of a life-limiting illness. What steps should you take now to be fully prepared for later life? I like to break them down into 3 categories: Paperwork, People, and Purpose. Think about your own sense of meaning and purpose in life–are you living life fully in each moment? Click here to download the End-of-Life Preparedness Assessment to see if you are ready!